I began blogging properly in 2014 as a way to fill time and distract myself from nonsense going in life and it's turned into something I really love doing! Even if I'm probably the worst blogger ever. So, here's a few things that may help you on the blogging front. Over thinking and comparing your blog to other bloggers is something that I have done ever since I’ve started and my best advice to you is simply, don’t. Easier said than done granted but it can make you feel like you may not be doing the right sorts of things. Which is silly because what is exactly the “right thing” when it comes to blogging anyway? Believe in what your posting and that will reflect onto your readers. Commenting is essential for not only meeting new bloggers but also driving traffic onto your own blog. However just don’t go overboard. There’s a fine line between commenting and then just self-promo. In my opinion self-promo, done obnoxiously even if that may not be the intention, is off-putting and wouldn't make me want to click through whereas if I see a comment where you can tell someone has actually read the post and left their link with their name I’m more inclined to have a look. A little trick if you’re not so good with html like me, instead of a un-hyperlinked link to your blog use the html below. It tidies up the comment and makes it easier for the reader to click through. Setting posts live and sharing them at the right time is something I have learnt recently and considered each time I’ve come to send a post out. Leanne Woodful posted an incredible guide to blogging which included the key times to share your material! Now to be a little blunt. Blogging is hard work despite what people may think. For some it comes with a stroke of luck and the “right connections” as some people have stated in recent months. Whilst for others it’s a slow painful process. I mean you can spend hours on something, be really happy with it and not really get any anywhere. However, don’t give up at the first hurdle. If you really really really enjoy it… keep at it! Nobody gets 12164000 followers overnight. Don't focus on the numbers. Appreciate the audience you do have and use any feedback you get to improve and keep your blog growing. Just like anything in life work hard and keep determined and it will, fingers crossed, all be worth it! Those key posting times are going to come in very helpful to me, so thanks for that! Great advice, I espeically agree with the bit about self promotion I really dislike when people simply asks for follow backs in comments... why would you follow a blog you didnt like simply to increase your follower count? Seems so silly to me! Exactly! I totally agree. Can't stand it when all people have posted is "Follow me" and then a blog name. Ugh, I mean why would you particularly want to follow that?? Great post :) Full of useful tips. The tips for the best time to post are really helpful! Thanks babe! I'm also glad of the little html tip because I've always wondered how to do it. I'm really new here and have been finding it difficult figuring out how people would find my blog etc. I love this! Sometimes I spend hours editing photos or rewriting things to make them right and get no traffic or followers. It can be disheartening like you say. I agree it is really important to remember why you started in the first place, the passion behind the blog. Thanks for this! I found you through Louise's post and I'm sure glad I did. Love your posts! Thank you so much for your post, this really helped me out, as being completely new on the scene! Thanks for the advice! Being a beginner myself I have been wondering about what I should be doing to get people to read my blog. 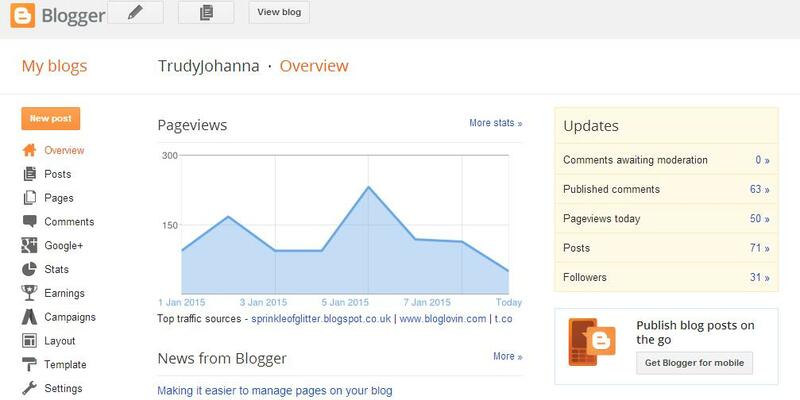 I get quite nervous though thinking about the possibility of people reading my blog! Great advice. I am pretty new to the whole blogging world and sometimes it gets hard not to get disheartened and stay motivated. Great advice. Just found this post, & it's so true. I Never click on comments that are purely just 'nice "insert link here"', really shows they haven't read the post!! or 'nice photographs' when there's one.. haha!